OK, guys. 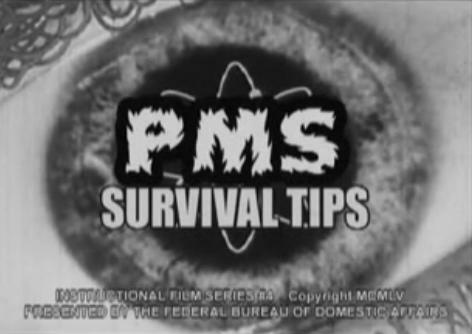 In order to amuse myself in between my work (while the kids were napping), I did a search (one of my favorite things to do) on “Funny PMS Videos”. This video was pretty funny and as you know I love to share funny things 🙂 – so if any of you mama’s (or ladies for that matter) out there are PMSing this week like me – I think this will make you laugh. BTW, don’t forget about my Mother’s Day giveaway going on for only TWO more days. ENTER HERE to wina coupon for a FREE jumbo pack of pampers, and 2 adorable onesies and matching Tee for mom. This video is too funny! It’s also ironic that Dear Aunt Flo comes to visit us both this week… I hate this time, though I have found working out makes it easier!